First things first, let’s assume you’re searching for an engaging event to visit and you see a long list of unfamiliar titles. If you ask us about one detail, you need to consider one thing above all — the speakers and the exhibitors’ line-up. A good event’s agenda should contain blockchain experts, crypto industry opinion leaders, representatives of mature companies, and funds. Beware of startup-only line-ups. Such an event may not be very beneficial as you don’t want to pitch your project to other startups, right? Never miss a chance to become a speaker at the conference. Big events give many opportunities for speakers, not only onstage but also behind the scenes, on coffee breaks, side-events, and after-parties. Remember, your speech is the primary tool for explaining why your project is worth paying attention to. It’s also worthwhile to strengthen your networking and participate in panel discussions where you can find your valuable audience. Now, when you’ve chosen the event to pay a visit to, it’s time to think of your pitch. As you aim to attract the audience’s attention and represent your project or company wholly, you need to work hard on your pitch structure. A well-structured pitch means each item should logically follow the previous one. A clear call to action: an invitation to dialogue, a proposal for cooperation, a request for contact information, etc. You may also check other pitches and rate them using the given scheme. Most likely, you’ll want to make friends with those delivering exceptional speeches to exchange your ideas and experience. Major conferences, forums, and summits often have lots of satellite events alongside. They can be very helpful if you want to communicate in a private and relaxed atmosphere. Such chamber side-events are often more effective than the main one, as the organizers select the applicants manually. Also, they invite extraordinary guests, which you may not have a chance to talk to anywhere else. To be frank, well-organized private side-events are usually places where the deals are being closed. Check if the event you’re attending has private dinners in the program. It’s a must that you visit one of those. These dinners host space where you’ll have a less stressed atmosphere and enough time to talk to people and likely to meet your investors or partners. 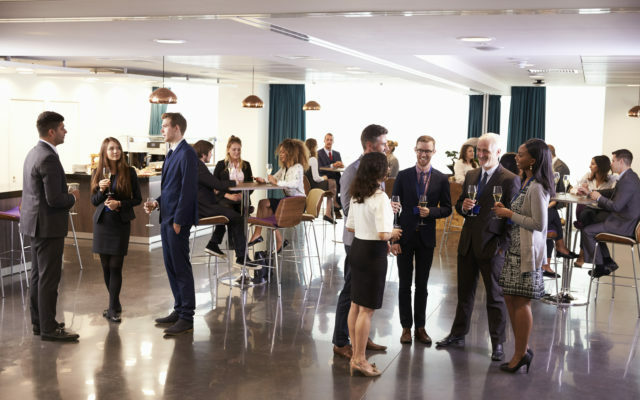 Such exclusive dinners are quite expensive, but there’s a good chance you’ll create valuable connections with event organizers, opinion leaders, representatives of funds, angels, etc. The speakers’ line-up includes famous and respected people in the industry. You’ve studied every speaking opportunity of the event in advance and aren’t going to miss any of them. You’ve prepared a well-structured and catchy pitch to represent your project/company. You’ve checked the list of side-events and chosen the best one to attend. If the event offers exclusive private dinners with influencers, you check them carefully and visit the most appropriate ones. Now you’re ready for the type of big opportunities big events can open up to you. Get the job done and don’t forget to have a good time! The post How to Benefit from Visiting Large Blockchain Events: 5 Recommendations from Event Organizers appeared first on Bitcoinist.com.